1. Emily Carr is indelibly associated with the West Coast, having been born in Victoria in 1871 and spending most of her life in her place of birth. 2. 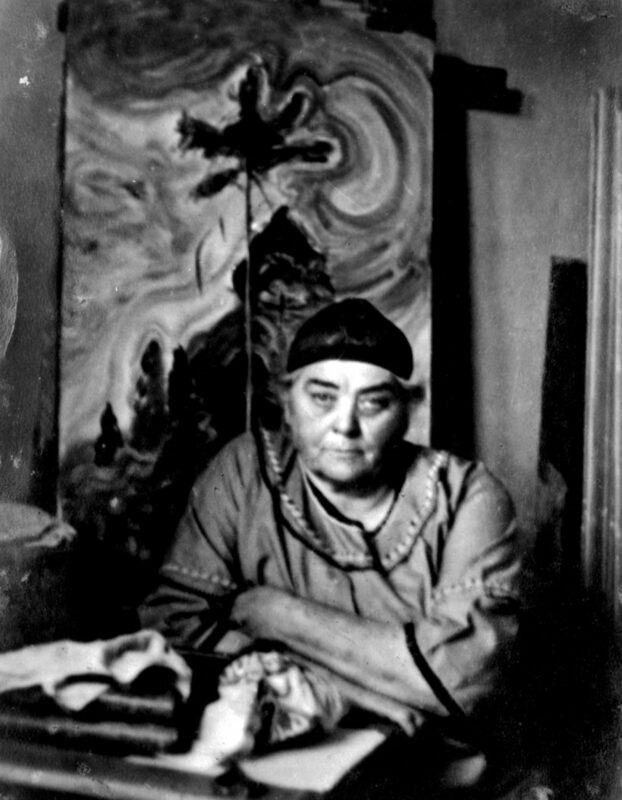 Although Emily Carr considered herself an outcast and achieved limited commercial success in her lifetime, she is now a Canadian icon and her paintings command record prices at auction. 3. Carr was also a prolific writer, publishing largely autobiographical books. Klee Wyck (1941) won the Governor General’s Award for Literary Merit in non-fiction. 4. Carr began her artistic career as an art teacher. She converted the barn at her family home into an art studio in 1894 where she taught art to children. Later in 1905, she also taught painting and drawing at the studio of her friend Theresa Wylde. In 1906, she moved to Vancouver to start a job as an art teacher at the Vancouver Studio Club and School of Art, but left to open her own studio and to teach children’s art classes. 5. Having spent some time studying in France, Carr dabbled in a variety of styles prevalent in the early 20th century, such as Post-Impressionism, Fauvism, Cubism and Expressionism. 6. Although she tried her hand at different painting styles throughout her career, Emily Carr never ventured far from the subjects close to her heart – the villages and totems of the First Nations people, and the forests and seascapes of the West Coast of Canada. 7. Carr was an animal lover! In 1918, she was a breeder of purebred sheepdogs. Apart from various cats and dogs that she owned throughout her life, she also had a monkey called Woo in the early 1930s. 9. Carr travelled around Vancouver Island sketching and painting landscapes in a caravan outfitted for herself and her companion animals. She named the caravan “The Elephant”. 10. Emily Carr was an environmentalist who championed the preservation of old-growth forests. This is seen in her paintings and sketches in the upcoming exhibition, Picturing The Giants, at the AGGV. It is also inscribed on her simple tombstone in the Ross Bay Cemetery in Victoria: EMILY CARR, 1871-1945, ARTIST AND AUTHOR, LOVER OF NATURE.